I've got to admit that I have always loved oldschool cartoons. They had an undeniable charm that modern cartoons don't really have anymore and their production involved very particular and clever animation techniques. 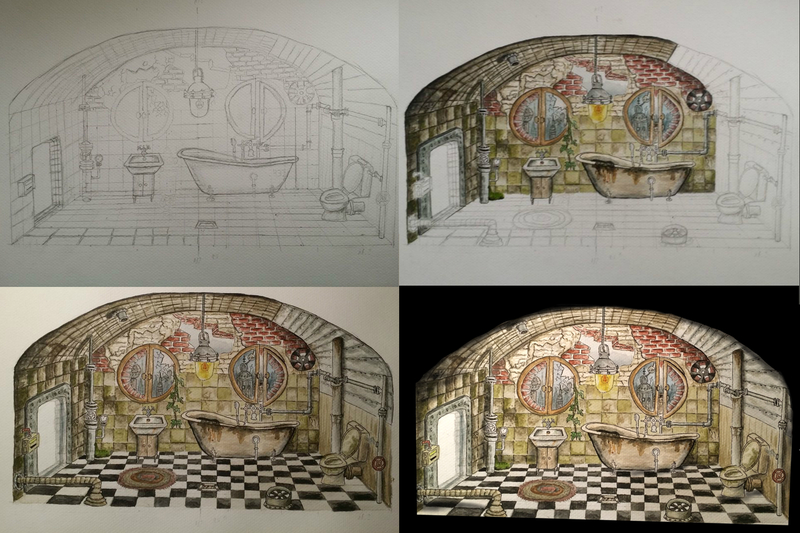 It wasn't until the computer age when the complicated animation process, which until that point had been done entirely by hand, started to simplify. I really appreciate the effort that went into making all those cartoons from the past look so amazingly beautiful. I wanted to try it too. That's why Futurust is painted by hand. First off, I drew three designs for the main character. They looked similiar, but were clearly different robots. 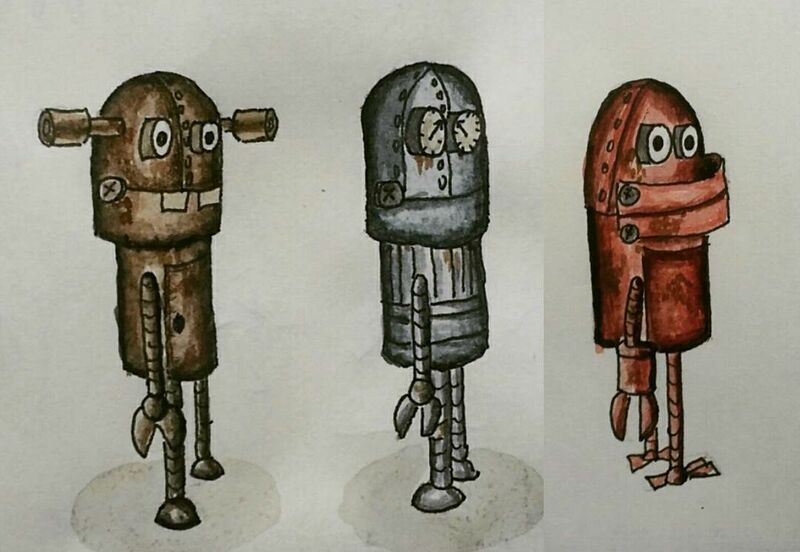 The one in the middle became the protagonist, named Rust. Why did I choose him? My daughter liked him the most and how could I refuse my little sweetheart? 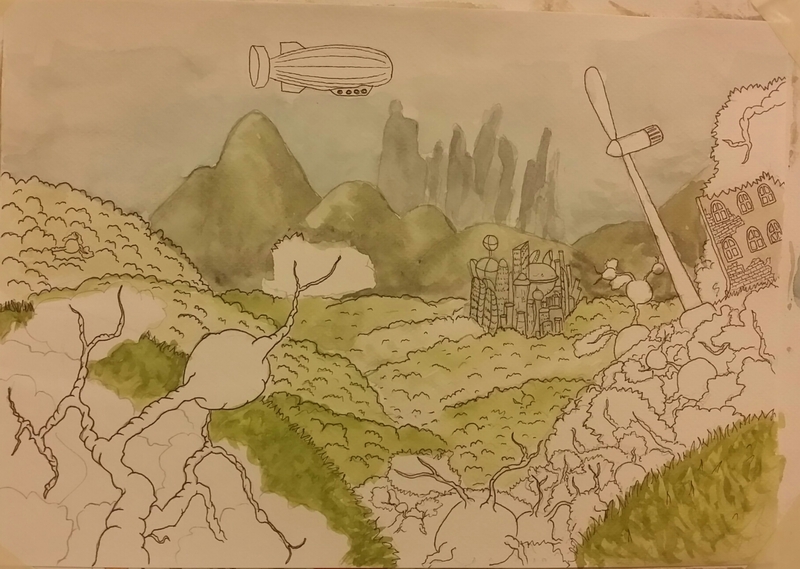 However, I wanted to go deeper and connect myself more closely to those cartoons from the past that I wholeheartedly adored. That's why I decided animating the characters using one of the older techniques would be not only fun and entertaining, but also beneficial in giving the game a distinctive look. 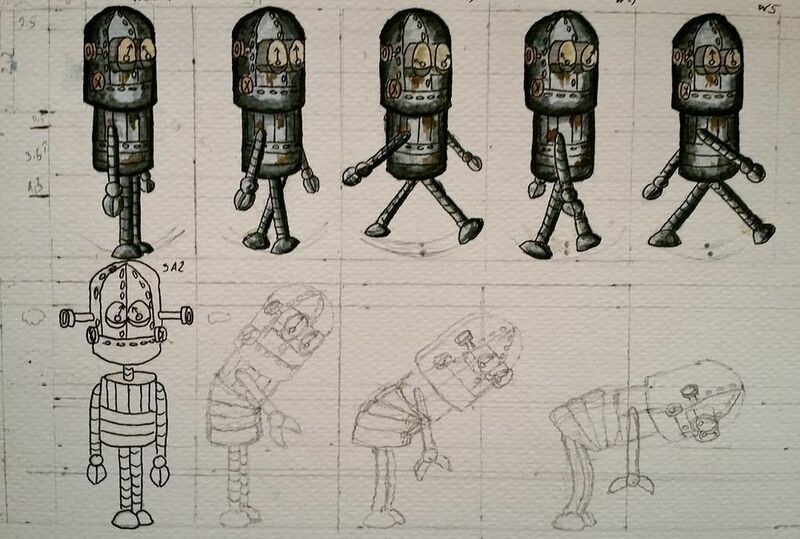 And because stop motion rules, at least in my mind, I wanted to make Rust's walking cycle by hand, and frame by frame. Then reality kicked in. 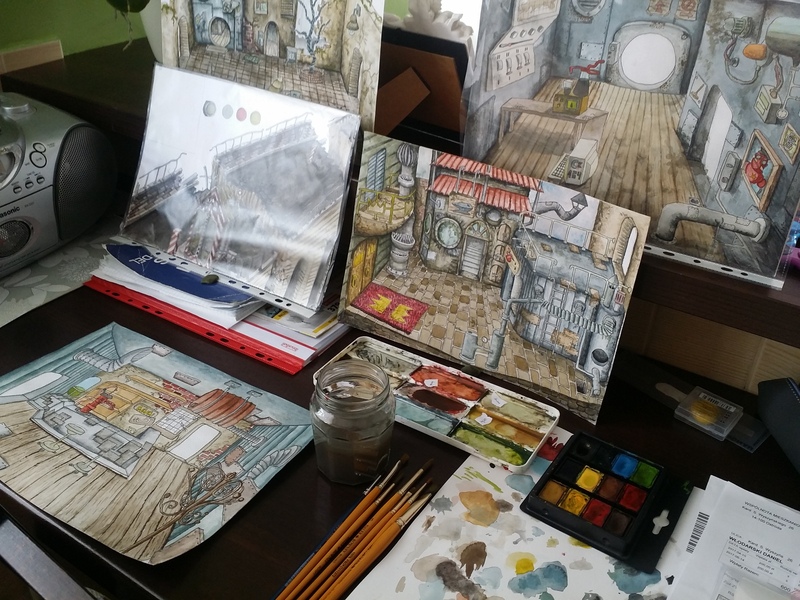 Painting animation frames with my coffee-watercolor artstyle for only one walk cycle took about seven days. A bit of quick math and I calculated that I'd finish making all the assets and animations somewhere around 2040! I found myself in a quite a deadlock, but, as always, Stanislaw Lem came to the rescue! I started wondering how I could quicken the pace of my work and I did not want to resign from the stop motion animation. In the end, I compromised and connected the past with the present by digitally animating my frame paintings. Hey, if you love old school animation like I do, please add Futurust to your wishlist to stay up to date with all upcoming announcements. You already know my eLEMentary inspiration story for the rusty future of Futurust. But what about the gameplay? 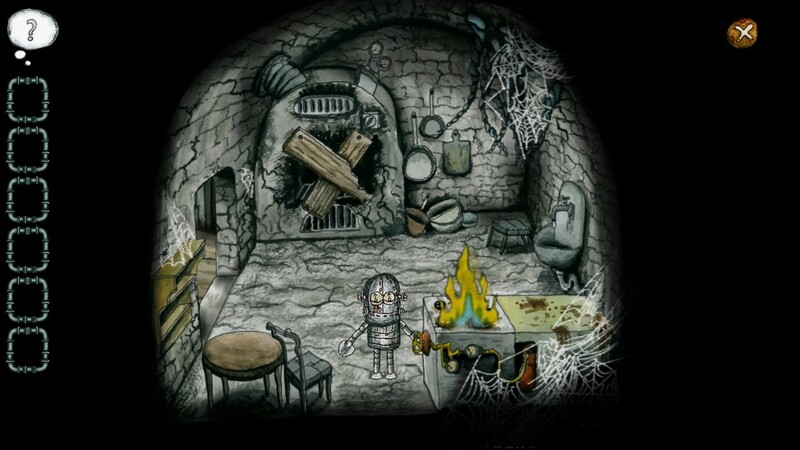 I'm sure some of you are scratching your heads thinking, "it's 2018 and he's doing a 2D point & click game? Y tho?" The short answer? Because they’re fun. The long answer: Because they're extremely fun and it's a shame that there aren’t many adventure games coming out lately. You know, I’ve always loved the fact that the experience I get from playing classic hits like The Pink Panther, Gobliiins or any of the Dizzy series, are very similar to what I felt when reading my favorite books. Those gaming adventures were so masterfully crafted, and the stories so in-depth and captivating, I just couldn't stop playing. Yeah, that's it! 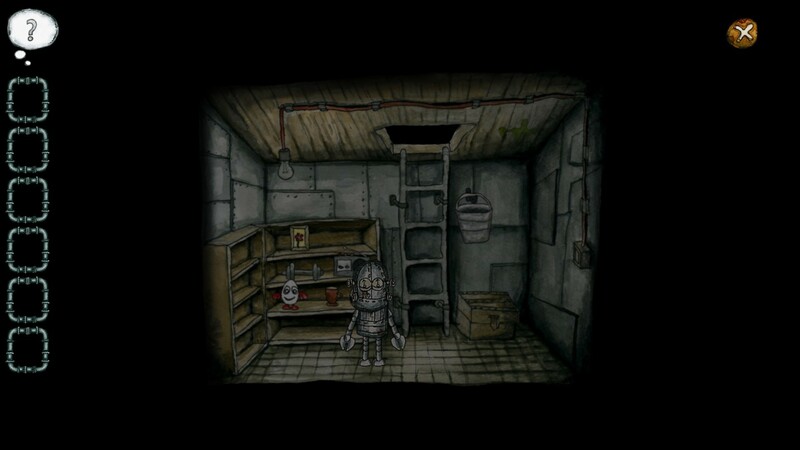 I find playing good point & click adventure games parallel to reading a wonderfully written book. If you think about it, since they are both quite alike in terms of the way they effect their audience, they may have a similar function in one’s life. I love Lem's novels and I read them from time to time, even though I can already quote his stories from memory. Why? Because the older I get, the more I discover in those novels - from a different perspective. Adventure games are the same. You finish the story, put it down for a while and come back to it after you’ve lived your life a bit and your point of view shifts because of the new experiences and your different environment at the time. I also love crafting fictional worlds that mirror real-life issues and helping to point them out to the audience. Games can serve as a social commentary in the same way books do, but in my humble opinion, they're more engaging and interactive due to their nature. 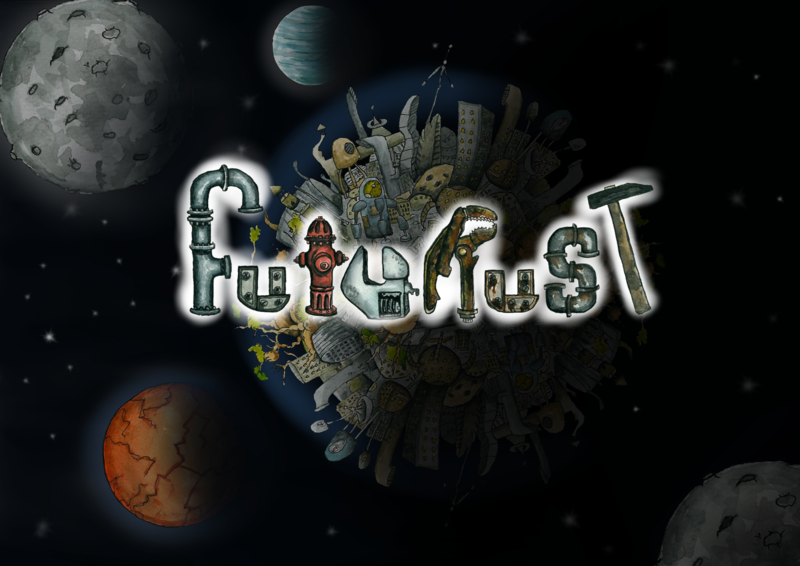 If you share my love, please remember to add Futurust to your wishlist! I'm in love with all the sci-fi stuff – especially robots and androids. 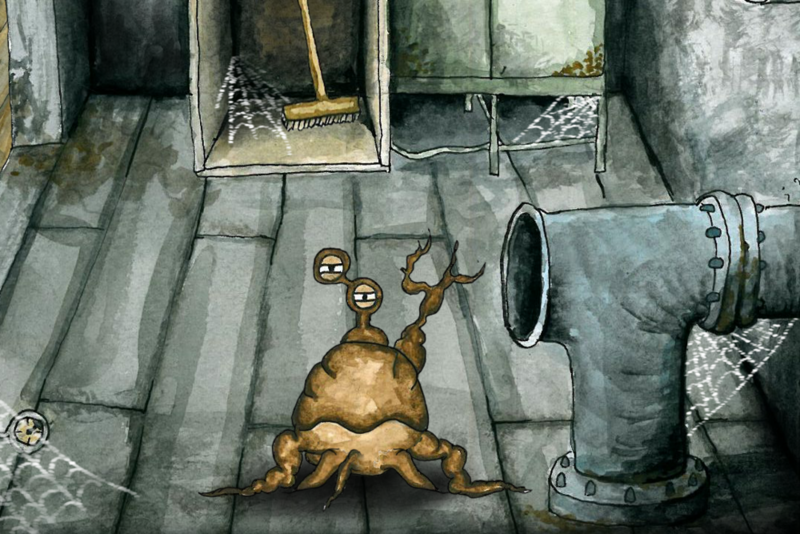 It's not a coincidence that when I spilt my coffee, which determined the artstyle of Futurust, I was reading Fables for Robots by Stanislaw Lem. To this day he's one of my favorite authors and I can't recommend his books enough. 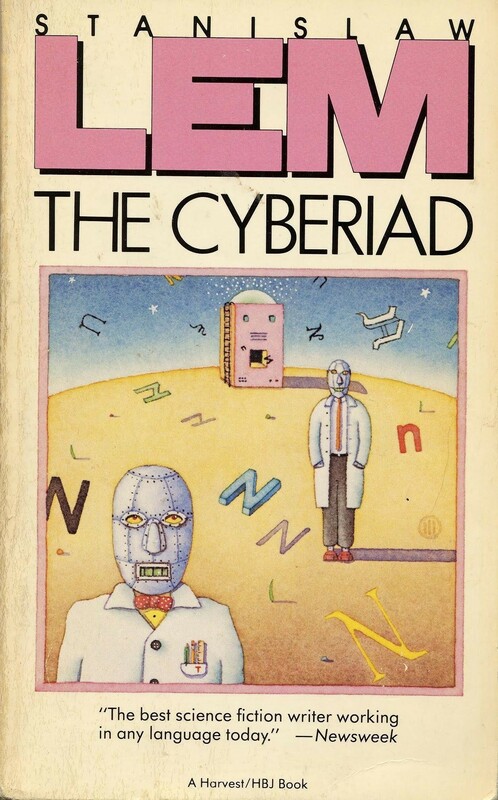 I especially adore The Cyberiad, a compilation of humorous short stories about the adventures of two "constructors" – Turl and Klapaucius, who are facing various individual or societal issues and travel through space in search of true human happiness. 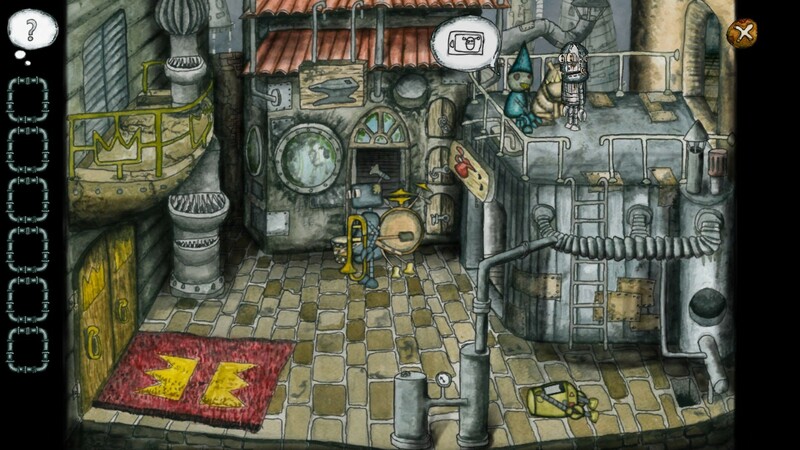 Its charming steampunkish vibe goes straight to my heart, and that's the atmosphere I want to recreate in the world of Futurust. 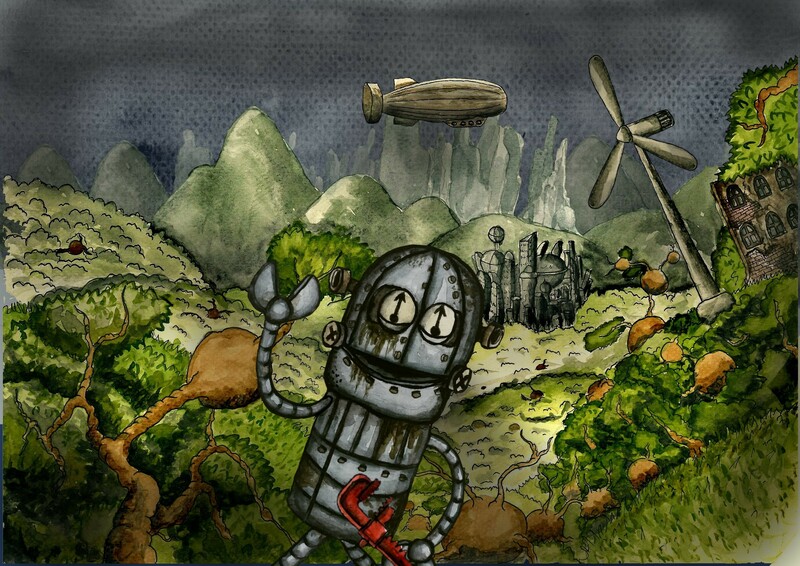 The game is set on Earth in the distant future, where the planet is overgrown with weird, round plants. They're not hostile to living beings by any means. Sometimes they even serve as shelter for life that needs refuge. The thing is, all human cities are now rusting away and deteriorating, and there is another life form developing their culture alongside the forgotten metropolises. They call themselves Turnips - they actually look like turnips if you ignore the eyes and all the tentacles. Believe me, it takes some time to get used to them, but eventually you do. All the while, the developing Turnip society is flourishing – they even chose a king and a shaman! Sadly, the Turnips don't learn from human mistakes and they have their share of dirty politicians and the corruption that comes along with them. For example, the king is getting along really well with the police commander – with all the mutual benefits, of course! 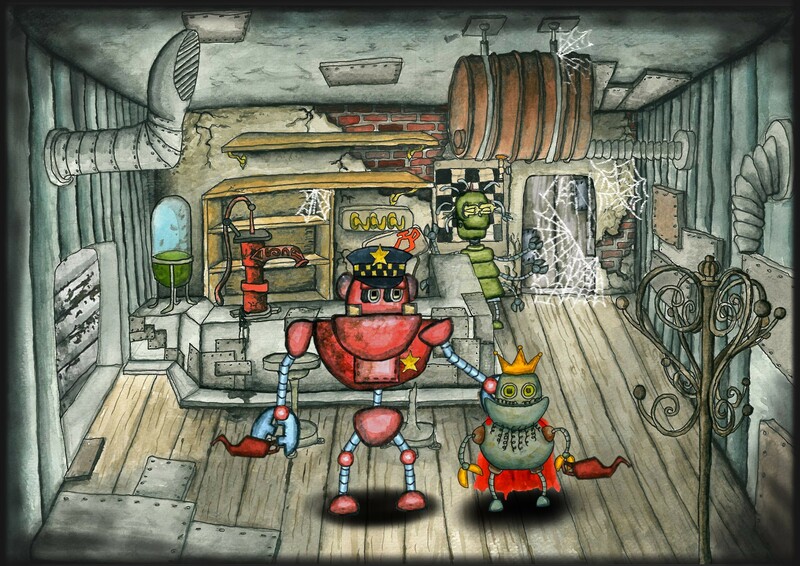 But one day, the police commander, who is a robot, starts hunting and destroying his mechanical brothers and sisters! What in the world could have happened in his rusty brain? Wanna find out? Add Futurst to your wishlist to stay up to date with all important game announcements. Some things start with a happy little accident. That was actually the case with the idea behind Futurust, escpecially it's artstyle. I was reading Fables for Robots by Stanislaw Lem (great book by the way) when I knocked over my coffee mug. The beverage spilled all over the book, resulting in black stains, which added a bit of watery flavor to the primarily black and white illustrations. 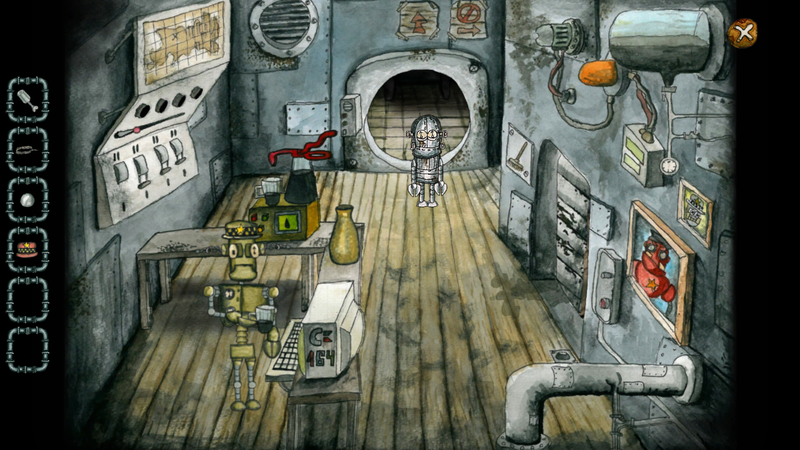 That's why I decided to use hand drawn watercoloured illustrations in Futurust. After I stopped mourning my coffee, I mean. 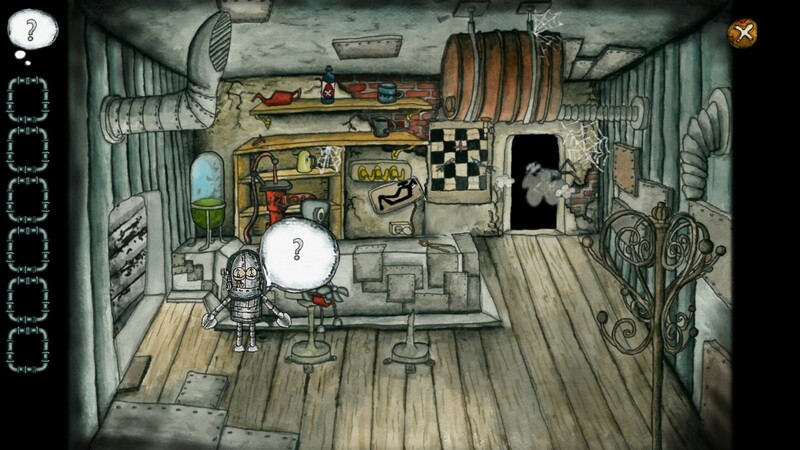 I find this artstyle complements perfectly the industrial setting full of steampunk gadgets and gizmos. It adds a subtle charm to the metallic, aging scenery teeming with rust. Also - fun fact! ...I use coffee instead of water when filling in my drawings. I wanted to make the most of the accidental spill, and I discovered that coffee adds a bit of shadowy depth to the colors and helps to imitate rust, which is great. And it also smells nice when the paintings dry, so it's a win-win situation. As for the designs, my inspiration comes... straight from my job. I work in heavy industry, so I have a lot of opportunities to snoop around for cool looking things involving machinery, cables and all the fun stuff. I'm also in love with the polish kids’ show “Mami Fatale”. The team behind it - Grupa Smacznego - explores, through their artstyle, themes of industrial development coexisting with nature. That's all for today! 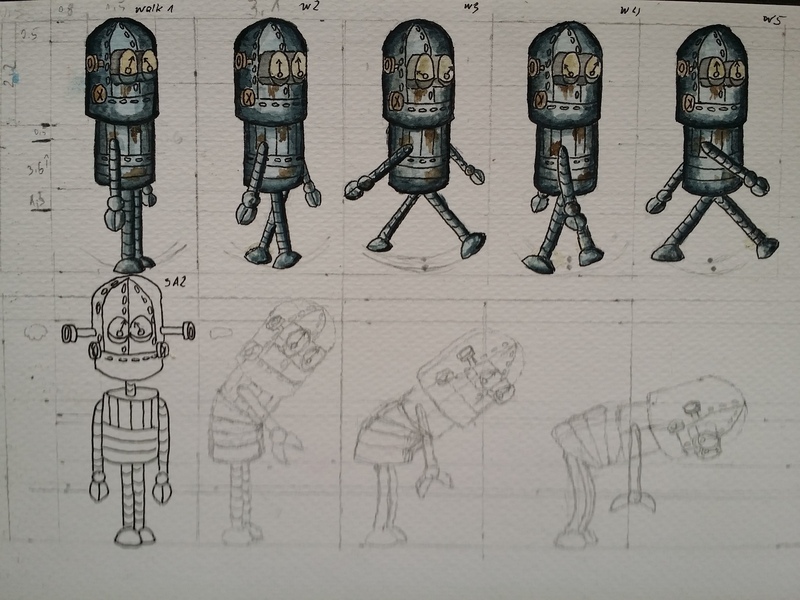 I hope you've enjoyed this little insider look at the origins of Futurust's artstyle. If you like it, please add Futurust to your wishlist to be up to date with all the important announcements! Enjoy your coffee, as I enjoy painting with mine! We're happy to announce that Futurust got a new build! Want to know more about Futurust? Add it to your Steam wishlist and check regularly for new updates and announcements!